Contains active ingredients that keep nails in an optimal condition when used on bare nails. 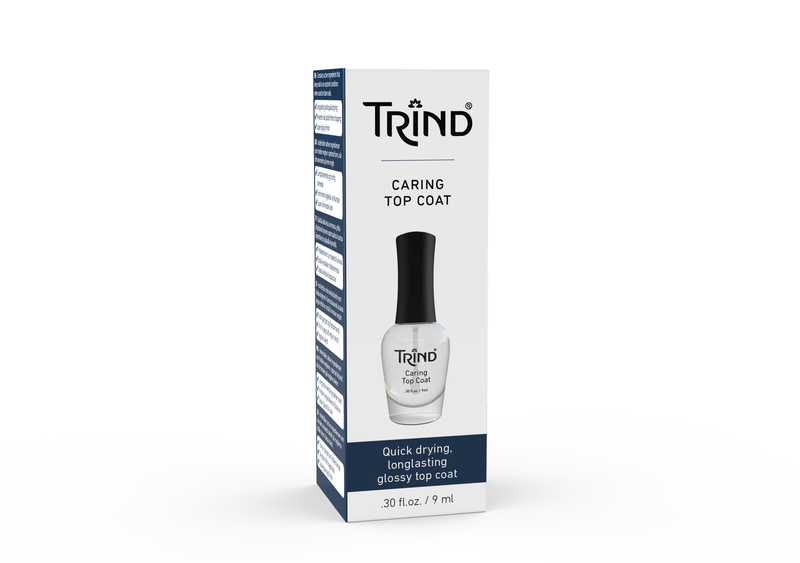 Apply 1 or 2 layers of TRIND Caring Top Coat over dry nail polish for a glossy finish and to protect your manicure. After use, clean the rim of the bottle.